Finally, after a two day pilgrimage from Austria, I have finally arrived in the Holy land of Pinot Noir & Chardonnay. Where do I start? How do I begin? Burgundy is a region on the east of France that starts from the town of Joigny in the north to Mâcon in the south. The land stretches 250 kilometers and I did not have a clue on where or who I should go. In my life, I have had the rare opportunity of being able to taste some of the best the region has to offer – The La tâche, the Romanée St-Vivant, the Grand and Premier Cru wines. These wines have given me such vivid memories of pure nirvana. Although I have tasted these wines, I never understood them. 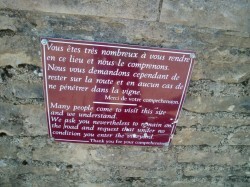 Now I know the reason for that is you cannot understand the magic of burgundy, unless you have been to burgundy. I also dare to say that one cannot understand the magic of burgundy unless one knows the right person who can reveal the secrets of Burgundy. That right person is Elohim Balest. Elohim, the son of Burgundy, is a young, humourous and charming man who runs Alter&Go wine tours. He has worked as a winemaker in Burgundy for twelve years after graduating from the University of Dijon as a qualified oenologist. He is in the very true sense, a son of Burgundy, who is born in Dijon and spent all his life here among the vines. When he speaks about the wines of Burgundy, you can feel the passion in his voice. As I looked at the map provided by le Bureau Interprofessionnel des Vins de Bourgogne(BIVB), I noticed that Beaujolais was missing from the map. I discovered that Beaujolais is not under the jurisdiction of the BIVB but under the department of Rhône. However, the BIVB has good relations with Beaujolais and when there are wine exhibitions in Dijon, Beaujolais and the Jura wine regions are invited to showcase their wines too. That was interesting to me as I have always read that Beaujolais was a part of Burgundy but it seems that administratively, it is separate. It seems like a good joke to tell others that France is so passionate about their wines that they have two maps – one which is the official map and the other which is the wine map. The best way to learn about Beaujolais would be to go to Mâcon or Lyon to find wine guides. 1) The regional AOCs which carries the word “Bourgogne” (except for Mâconnais which carries the word Mâcon or Mâcon-Villages instead). The grapes may be from any wine-growing district in Burgundy. This represents 50% of the total production. 2) The Village AOCs which represents 30% of total production. This uses grapes from the communes like Pommard, Chablis, Volnay etc. 3) The Premier Cru (1er Cru) which has grapes coming from identified parcels of land that has been seen to produce wines better than regional and Village wines. These parcels have specific names like “Les Rugiens” with the commune of Pommard or “Chanlin” from Volnay. This is about 15% of the total production. 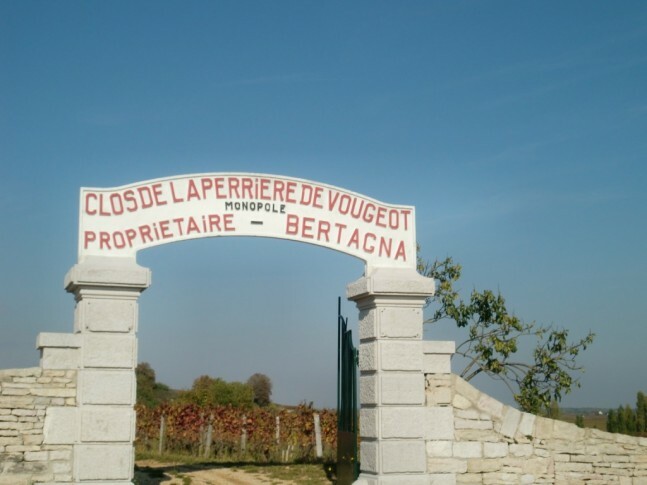 4) The Grand Cru which comes from very special and small plots of land. They are supposed to produce very good quality wines and represent about 2% of the total production. 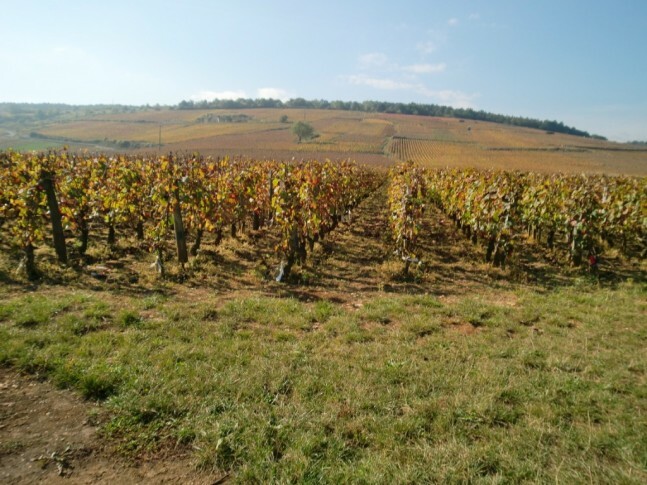 Next, Brugundy grows four grapes – Pinot Noir, Chardonnay, Aligoté and Gamay. Apart from Aligoté, none of the grapes are listed on the label. They also grow small quantities of Sauvignon Blanc, César, Pinot Blanc and Pinot Beurot. Most of the red wines are Pinot Noir and most of the whites are Chardonnay. Aligoté is used as a component for the sparkling wines here called Crémant; a single white wine and a wonderful sweet drink called Kir which is unfermented Aligoté juice added with blackcurrant liquor.Gamay is used to create a blend with Pinot Noir (a minimum of a third of the blend) called Passe-Tout-Grains. This blend also allows up to 15% of Pinot Gris, Pinot Blanc and Chardonnay in the blend. Sauvignon Blanc can be found in St Bris and César is used as part of a blend in Irancy. 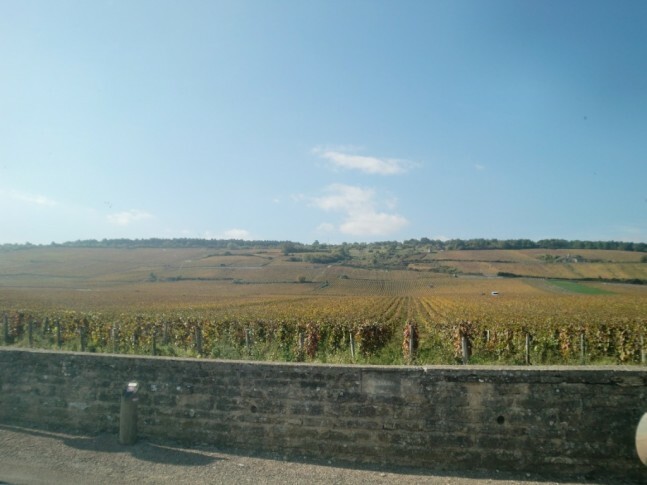 Next in the series, I shall write more about why the prices in Burgundy are so high; what makes a vineyard 1er Cru or Grand Cru; and why choosing a good burgundy wine can be difficult. 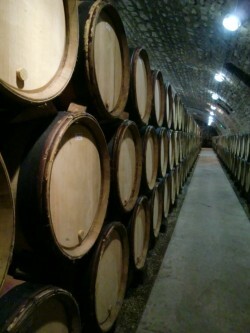 Shalom burgundy blog - mystery cellar - anyone know where this is?